The white discoloured skin caused by vitiligo can be found occurring in any region in our body. Loss of melanin is not treatable in all cases and hence to overcome the issue of social defects make-ups are used. This video is a demonstration of how to apply make-up on the vitiligo affected areas on leg. 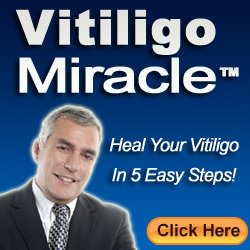 Vitiligo make-ups are available in many stores and there are a number of color combinations available. Choosing the perfect match for your skin is not too difficult with the options provided by most brands. Initially a green concealer is applied on the affected area and only then the coloring foundation is laid.